The Domoticz community is quite active. And they were already working on supporting this device. 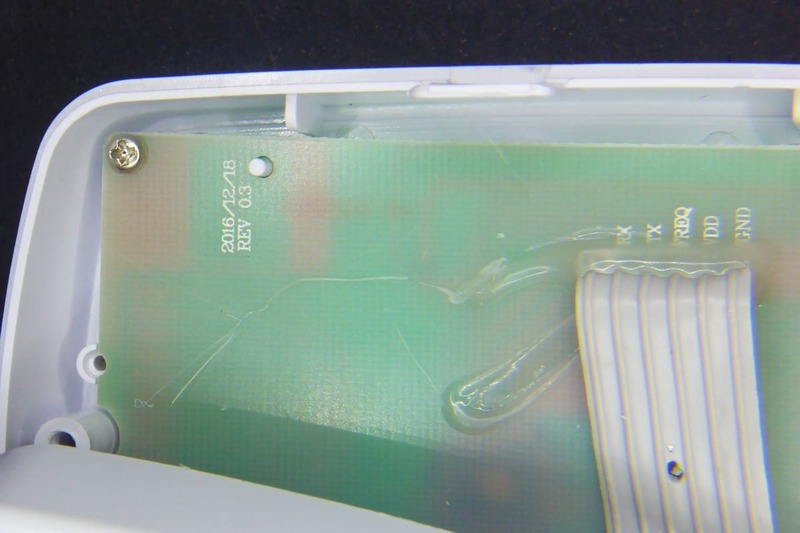 Actually the datasheet for the Vango V9261F [datasheet, PDF] is public (contrary to that on the ECH1560). So I just had to “borrow” the work from two of the domoticz community members (kudos to Kapee and Rolo) and continue from there. The hack, like with Karl’s method, is based on sniffing the traffic between the power board (where the V9261F sits) and the display board. 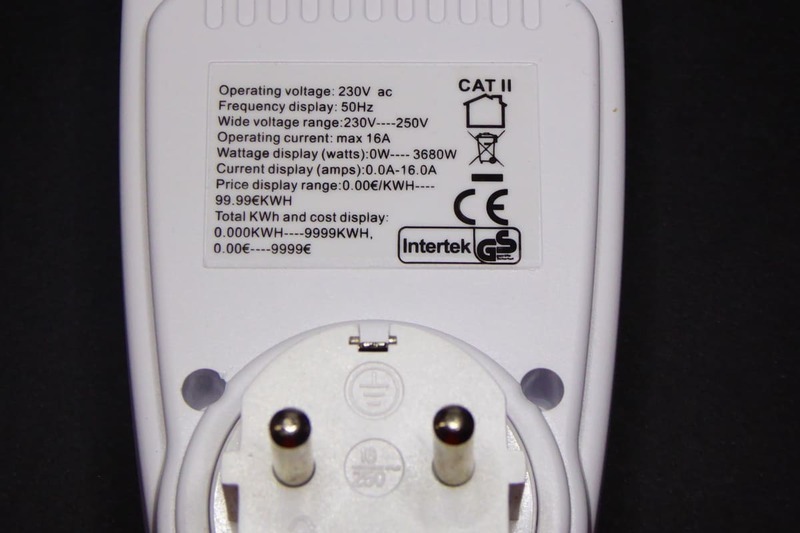 On this new version there are 6 cables labelled (RX, TX, FREQ, VDD and GND, the sixth is unlabelled). So it strongly looked like being a serial interface. All they had to do was to wire the TX pin to a GPIO in the ESP8266 module and use a software serial library to receive the messages. Rolo, at the Domoticz forum has shared a schematic to isolate the TX pin from the ESP8266 module using a PC817 optocoupler [Ebay]. I thought it was a good oportunity to use those “old” ESP01 modules I never use so I prepared a stripboard using his schematic as starting point. 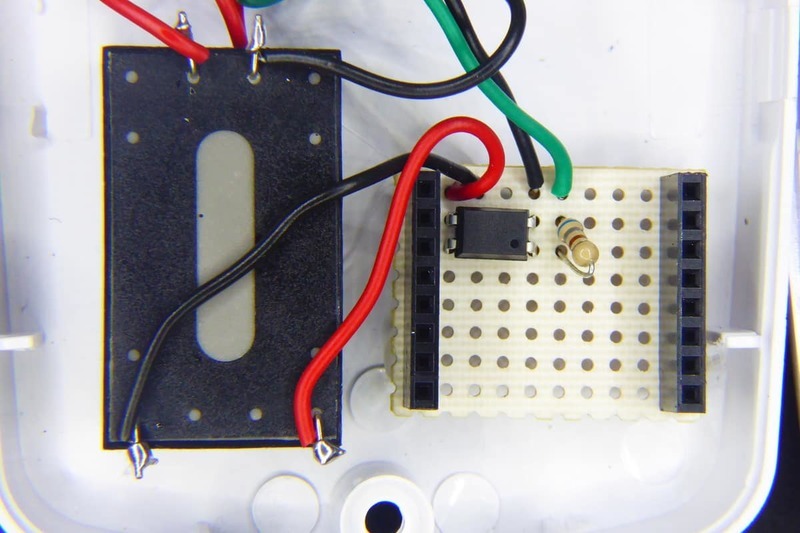 The schematic assumes you power it with a 3V3 source. In the first term I used a 5V source so I had to add a AMS1117-3V3 to the power input. Anything capable of supplying 400mA peak should be enough. The power source and the ESP01 module and “carrier” board. The blue cable is soldered to the TX pin in the power meter board. 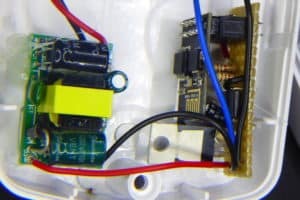 For the second powermeter I used a wemos board, which simplifies the connections. Basically you just need the optocoupler and the input resistor. You might have noticed I also used two different power sources. Again, you will need 400mA output to be safe. 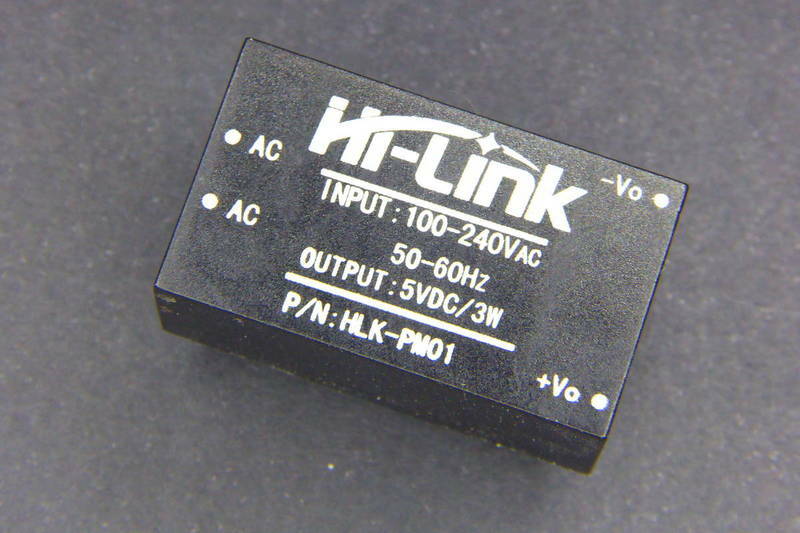 HLK-PM01 [Aliexpress] modules are great for that, but cheaper “open” AC/DC 5V 700mA power supply modules [Aliexpress] will also work. It is very important that you double check the connections and the weldings. 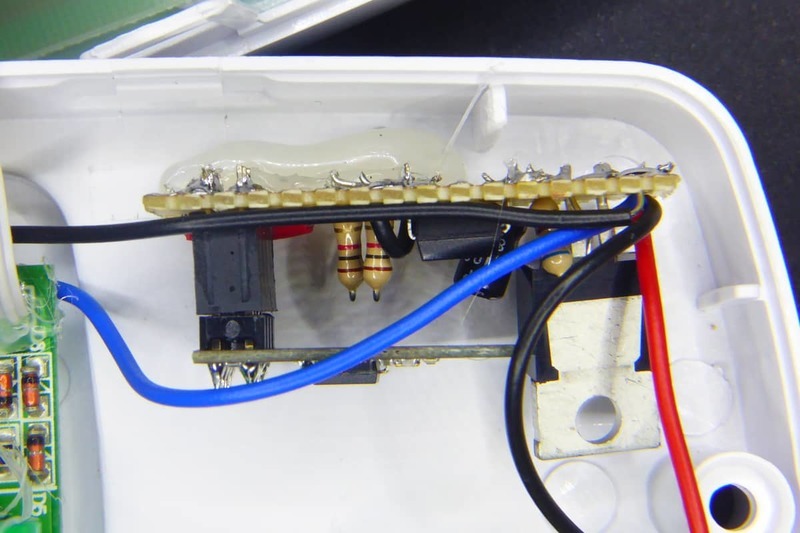 Also, once you have tested it and you want to close the box, hot glue everything so they stay in place. Trust me. You don’t want a wire going loose there. 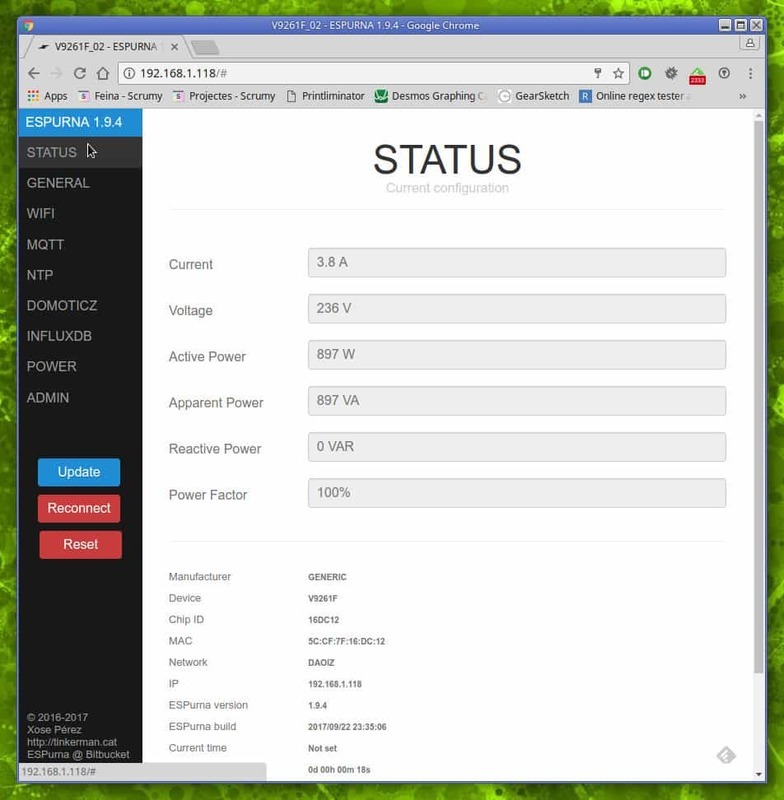 Final step was to integrate the code in ESPurna, so it will benefit from other “goodies” in the firmware (MQTT, REST API, Home Assistant and Domoticz support, WebUI, WiFi configuration, etc). The firmware reports “real time” values (every 6 seconds) to the web client and aggregated (and filtered) values via MQTT to other services. 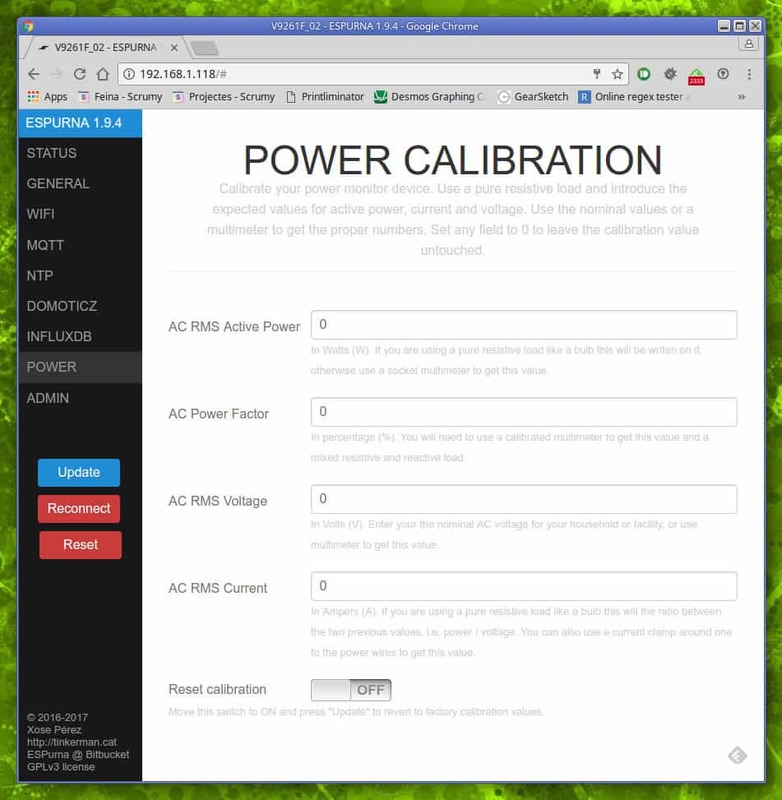 So instead you can use the power section in the Web UI to calibrate the values you are getting. You are not supposed to write there those “magic numbers”. 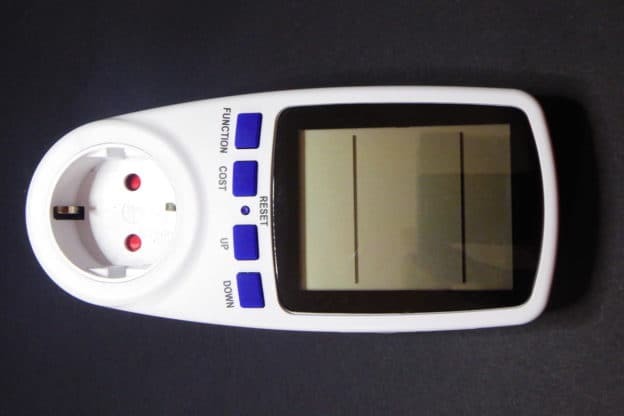 Instead, you have to write the values the power meter is displaying on the screen and the firmware will do the maths for you. The power calibration tab allows you to introduce the “expected” values for power, current and voltage. But, what about the ECH1560? Yeah! That was the first idea. I decided to add support for the ECH1560 in ESPurna too. But this is completely untested and it will almost certainly have bugs. So if you want to give it a try, be ready to debug. Also, some people has reported their power values are inverted. If you are getting weird power values try changing the ECH1560_INVERTED setting to 1. 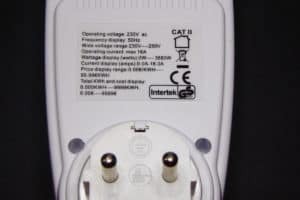 Connected power meter by Tinkerman is licensed under a Creative Commons Attribution-ShareAlike 4.0 International License. i’m not someone with much knowledge in electronics, but i would like to know why have you used an optocoupler ? The optocoupler is used to isolate both cirucuits (the powermeter board and the ESP8266 circuitry). 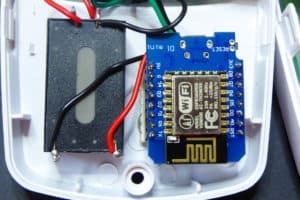 This way you can still communicate info from the V9261F to the ESP8266 without a physical wire connecting them. Since you are working with mains it’s a nice safety option. 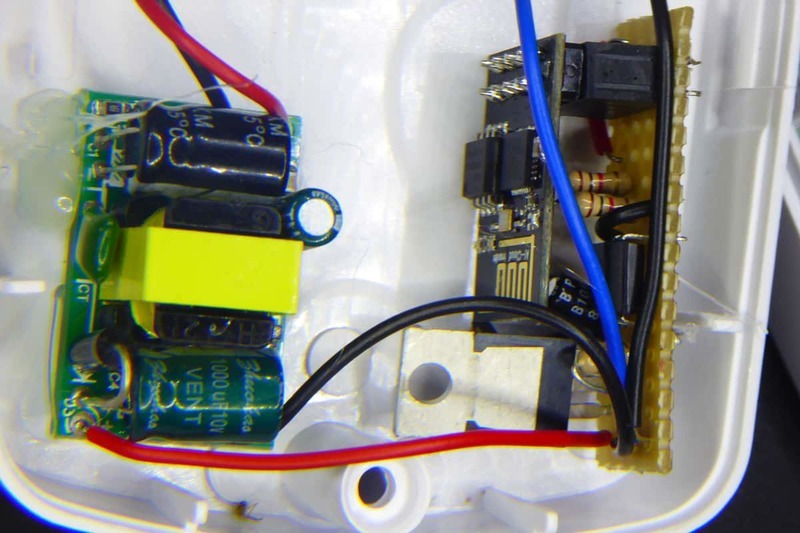 In de downloads section, which image is for this, when using a wemos esp8266? I have just uploaded it: espurna-1.9.4-wemos-v9261f.bin. It expects the TX pin in the power meter board to be connected to GPIO2 (that’s D4 for the Wemos D1 mini). I do recommend to use the optocoupler in between. thnx. So only wemos d1 mini is required an resistor 680ohm and the optocoupler. It will work without the opto and the resistor but I strongly recommend to isolate both circuits. But yes, for the Wemos that’s all you need to monitor the TX line. Hi I received the components and the power meter , and it is a ECH1560 . 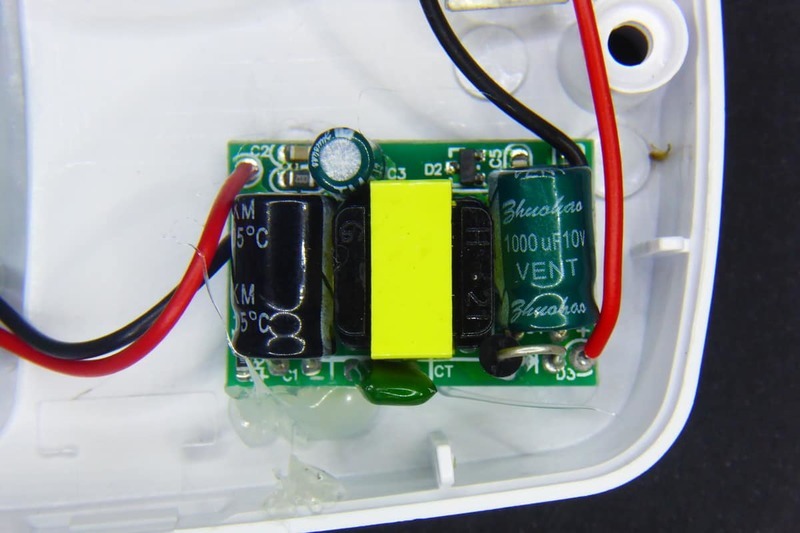 I want to test it but I need the images for de wemos. 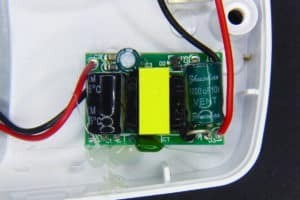 Can you also place the image for the wemos d1 mini for the ECH1560? Must I also put the resistor and optocoupler between? And where to put it? 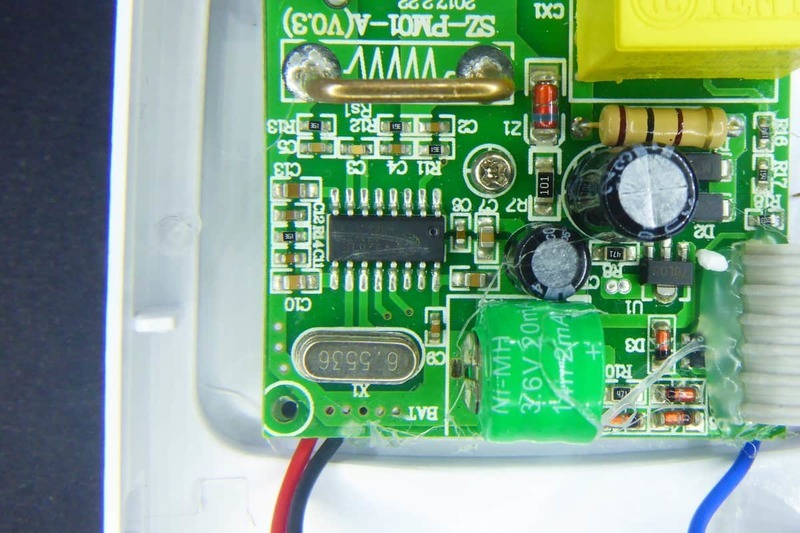 Beware that the code for the ECH1560 is based on the work of different people and untested. I’ve placed the image for the wemos with ECH1560 in the downloads section of the repo. 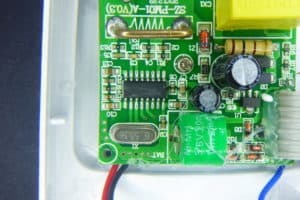 Using the optocoupler is safer, but not necessary. You will need two of them (some IC have dual optos). Hi, Can’t find your updated wemos ino code ? You can find the code in GitHub, it’s linked in the post. If you only want the binary browse to the “releases” section in the repo.